We were told to be ready by 9:30am. Wear comfy clothes and be prepared to spend time outside. That was the extent of the instructions issued by my three children. The assembled multitudes included their significant others, our two grandkids, my husband Rich, and me. The occasion? My 60th birthday! Following that I opened my first real clue, which turned out to be a word game. As did all the rest. Yup, another Molly-thing – I love word games! Crosswords, cryptoquips, scrambled words and more had to be untangled before the next destination became apparent. I could see that this was going to be a fun adventure. Piling into two cars, w e proceeded to cover the city. Leaving no detail to chance, Carl had optimized our route and each of the kids contributed an equal share of the puzzles. 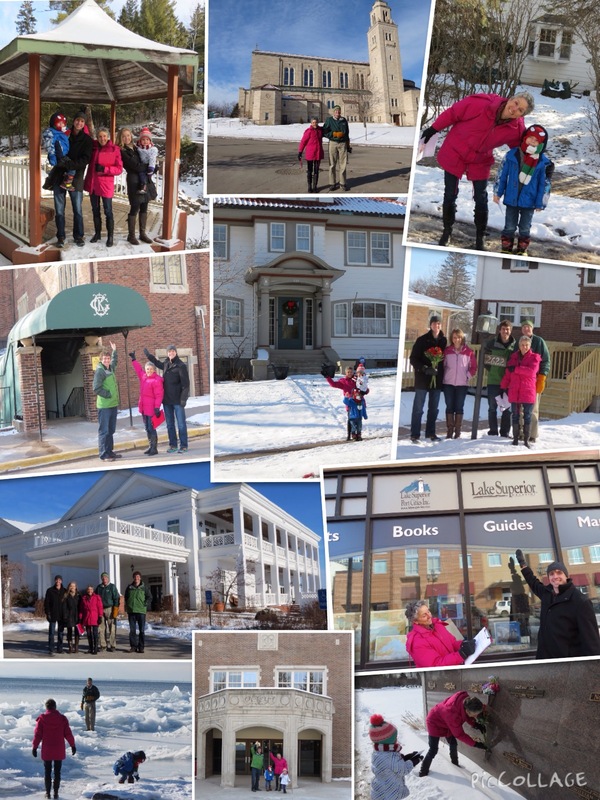 Favorite family spots, schools and our wedding venues were among the places we visited. Houses figured high on the list – those where I lived, my best friends’ homes, and of course, Rich’s house. We even paid tribute to my parents, in their final resting place. Their imagination was boundless. And everyone showed immense patience and interest as my stories poured out with each stop. 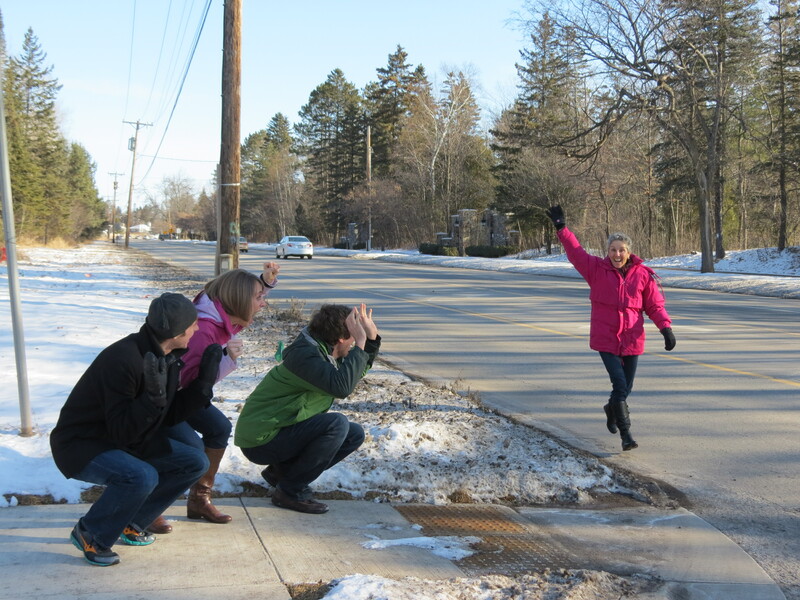 Some scenes begged re-enactments, such as running Grandma’s Marathon past the corner where the kids always always waited with my mom to cheer me on. We got the biggest laugh out of the “nunny bunny clue.” I leave the rest to your imagination. 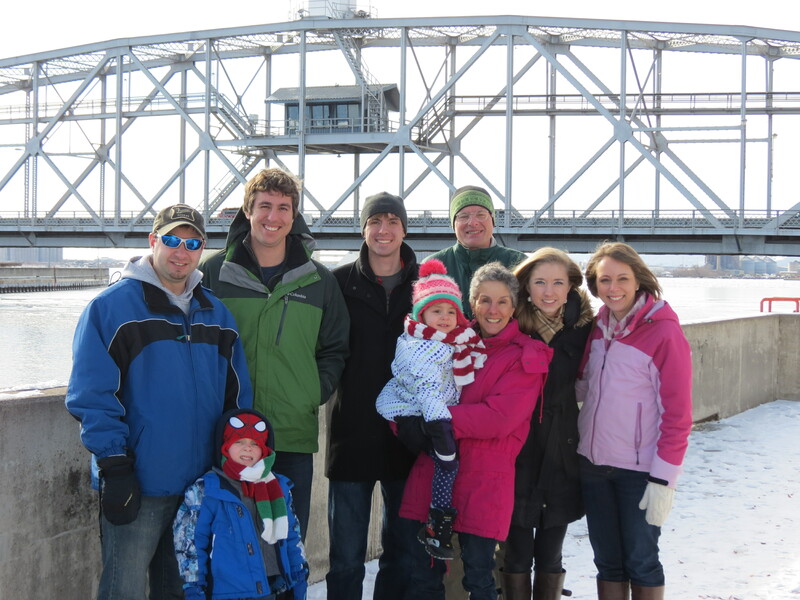 Our final stop was at the Aerial Lift Bridge. Time for a family photo and a big group hug. A warm lunch awaited us at Grandma’s Restaurant – a fitting finish to our journey. Eighteen clues in all. Eighteen times we all piled out of the cars and posed for pictures. Eighteen puzzles to solve. Innumerable memories. Thank you kids. It was the best Super Secret Birthday Activity. Ever. 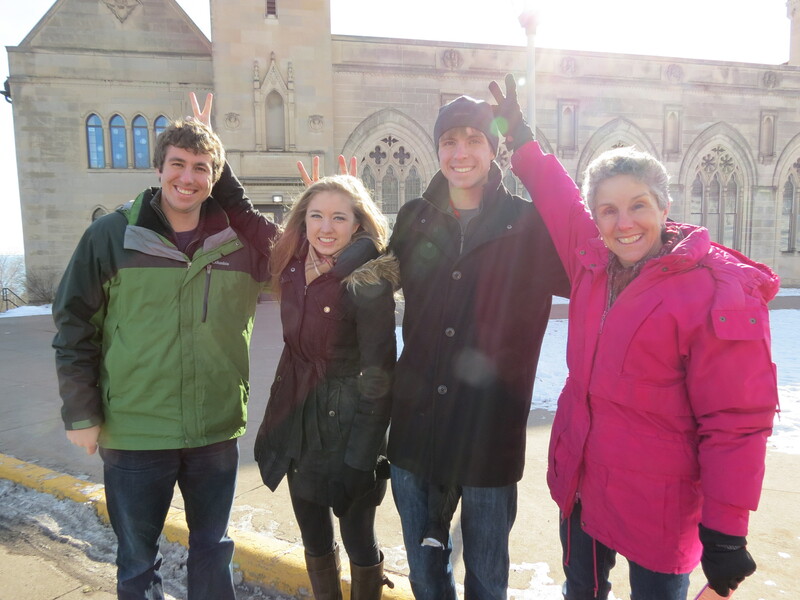 This entry was posted in Family Footprints and tagged Birthday, Duluth Minnesota, Family by Molly. Bookmark the permalink.